Reaching the point where you can afford to buy your own place is huge, but for most of us, it takes a long time to save up enough to even consider making that happen. And that's especially true if you're living in a city where rents are so damn high that you're forced to fork over gobs of money every single month just to keep a roof over your head. However, that's not to say that some cities aren't much better suited for the renter's lifestyle, with enough listings to meet demand, a thriving social scene, and relatively reasonable prices. 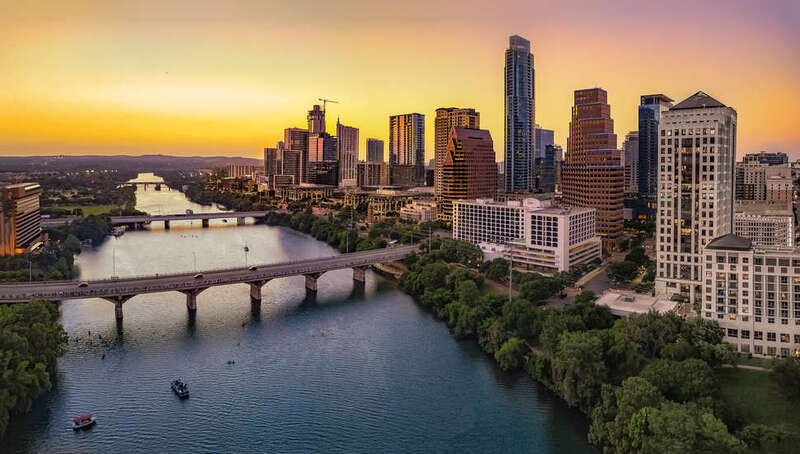 To help sort which ones meet the mark, the folks at personal finance advice site SmartAsset took a look at a bunch of stats and determined which American cities are best for renters right now. To determine where renters have it pretty good at the moment, SmartAsset consulted a slew of Census Bureau data, and considered a number of quality of life factors beyond just how much it costs to rent a place in a given city. Specifically, they compared 96 cities across seven different metrics: percent of renters who are rent-cost burdened (e.g., pay 30% or more of their income on rent), percent of dedicated rental housing, eviction rate, density of "entertainment establishments," crime rate per 10,000 residents, unemployment rate, and the average commute time. From there, they ranked each city on every metric, and averaged the total to figure the ultimate ranking. It turns out that Madison, Wisconsin is the best place for renters in 2018, while Boston and Austin have bragging rights to the number two and three spots, respectively. If you're curious if where you live made the cut, here's the full top 25 ranking. It may seem totally bonkers to find New York or San Francisco among the best cities for renters, but it's worth considering the metrics used to determine the list, and the fact that both cities boast fairly high median full-time salaries and low unemployment rate, justifying their positions. Also, if you look at the full breakdown of each city's stats, you'll see that the rent-cost burden rate is above 40% (and significantly more so) in almost every locale. If that seems crazy, it's because it is. Before you lose all hope, though, just remember there are still plenty of great spots where you can probably buy a place (or at least rent one on your own) without going broke.